Yesterday was national running day. I celebrated by going for my normally scheduled run, and buying a pair of compression socks at half price. The run was intervals, a toughie, but I enjoyed it, and today is a rest day! 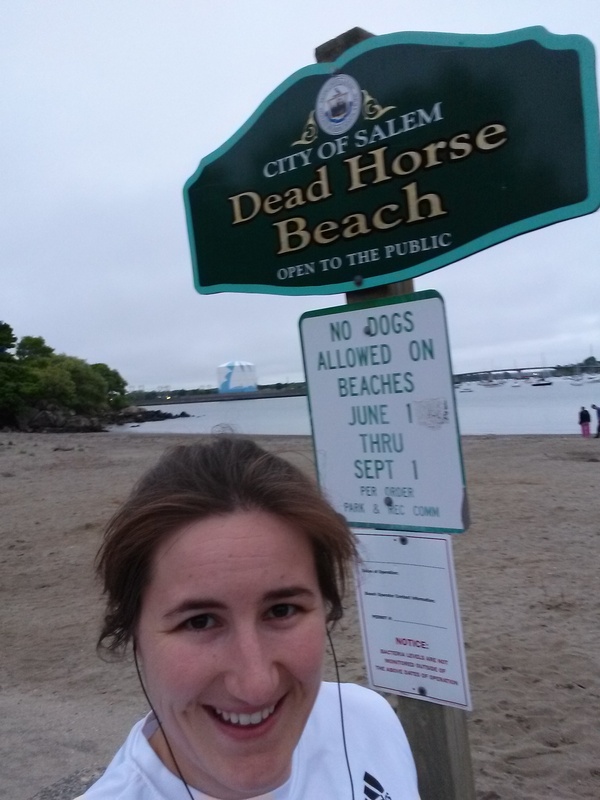 Hittin’ the beach for running day! If you’ve been following along with my Throwback Thursday posts, you’ll remember that last week I talked about how I started running. At first it wasn’t much, just a little time on the treadmill after using the elliptical or arc trainer. I continued like this for quite a while, adding more running time as it became easier. The gym I belonged to after I graduated college was always VERY busy, and sometimes all the ellipticals and arc trainers were taken, so I was forced (in a way) to add in some running only workouts. Even though it wasn’t my choice at first, these treadmill only workouts soon became my norm. At the time I was attempting to go to the gym 3 days a week after work for about an hour. When I switched over from elliptical/arc trainer to treadmill, I wasn’t able to run for that entire time. I would spend 10 minutes walking to warm up, and 10 minutes walking to cool down, and I’d also take walk breaks during my run when I needed them – not necessarily on a schedule. Over time, I took less and less walk breaks, and my warm up and cool down walks shortened. I remember the first time I ever ran 5 miles without stopping. It was so exciting! Every time I wanted to stop, I just slowed WAY down and eventually I felt better and could speed up again. I don’t have anything against walk breaks, but seeing how far I could run without stopping made me feel strong. I still use this “slow way down” tactic whenever I’m tuckered out, but am afraid that I won’t start up again if I take a walk break. I tell/let myself run as slow as possible, and eventually things tend to turn around. By the end of my first year of running, I would regularly run/walk 5 miles on the treadmill every time I went to the gym (maybe 3 times per week). I didn’t pay much attention to my times, and I NEVER ran outside, but around this time, the idea of running a race started to worm it’s way into my brain. And that’s what you’ll hear about on my next Throwback Thursday post. 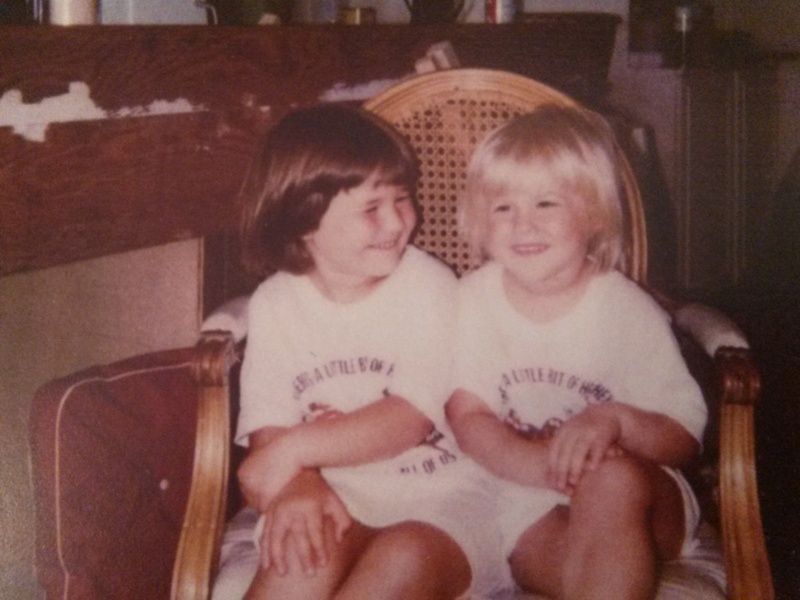 I don’t have a good picture to go along with this post, so here’s one of my sister and me when we were little. It’s applicable because I’ll be seeing her today! Yay! I do, too! I’m not crazy about putting my own up, but I really like looking at other people’s. I feel the same way about walk breaks – nothing against them, and I take them often, but I love to see how far I can *run* without stopping. It makes me feel more badass knowing I ran a set distance without having to walk. I feel the same way about walk breaks. I don’t mind slowing down if I have to, but I have a mental battle with walking, like I’m “ruining” the run. I feel much better about them if I have a plan of attack. If I know I’m going to take them and for how long and when. If they aren’t planned, I feel more like it’s a failure, even though it isn’t.